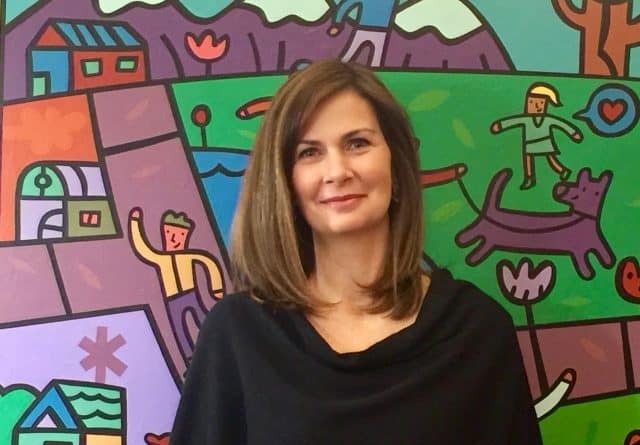 Meet Jill Andres, Director, Trico Changemakers Studio at Mount Royal University and PowHERpanel guest on April 14, 1-2 pm at the Calgary Woman’s Show. Jill is a facilitator, coach, and changemaker who is passionate about creating conditions for social, economic and environmental change. She is dedicated to building a dynamic community of students, social entrepreneurs, activists, artists and leaders who are addressing the complex issues of our time. Through her company, Creating Value, Jill has worked alongside inspiring changemakers in the nonprofit, public and private sectors to amplify social impact though adaptive strategy, collective impact and systems change, service design, and social enterprise. Jill continues to work with changemakers as a coach and thinking partner. Come and meet Jill along with our other PowHERpanel guests: Lara Murphy, Karen Pearce, Filomena May, and Jamie Sale at the Calgary Woman’s Show on Saturday, April 14 from 1-2 pm. The PowHERpanel is just one event of an extensive 5-day accelerator series April 11-15 called WOMEN BUILT2SCALE. PODS | Exploratory, themed deep-dive breakout sessions, mini-masterminds with a small group of women. Four PODS to choose from on April 12. Details here. As a referral of Jill’s, join us for just $29. WOMEN BUILT2SCALE Workshop, a 4-Hour, Fast-Paced + Facilitated Workshop to Scale Your Business, Influence + Impact as Canadian Woman Who Leads on Friday, April 13, 1-5 pm. Details here. As a referral of Jill’s, join us for just $179. PowHERhouse gratefully acknowledges the support of our Presenting Sponsor, HILTI Canada. Thank you for helping us to build strong women who lead!